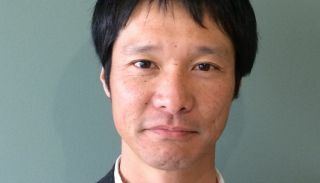 Masanori "Mick" Kamihara, Revolabs' newly appointed CEO Revolabs co-founder and CEO JP Carney has stepped down, to be succeeded by Masanori “Mick” Kamihara, who is currently the group manager of Communication System Development Group at Yamaha Corporation. Carney will remain with the company through the transition period. Revolabs is a wholly owned subsidiary of Yamaha Corporation. Since founding Revolabs, Carney has set the strategic and product direction of the company. He has led the growth of Revolabs from a start-up that successfully navigated the turbulent AV market by identifying real-world audio challenges and engineering solutions to solve them. With his leadership and entrepreneurial spirit, he built Revolabs’ global team and paved the way for the company to become a global unified communications provider, which was then acquired by Yamaha Corporation in 2014. Redefining the market by developing high-quality audio products and now video products, the company continues to grow its sales and partner channels around the globe.